The government of Rwanda is building on the vision of financing own budget and in the process minimize the dependence on donors. 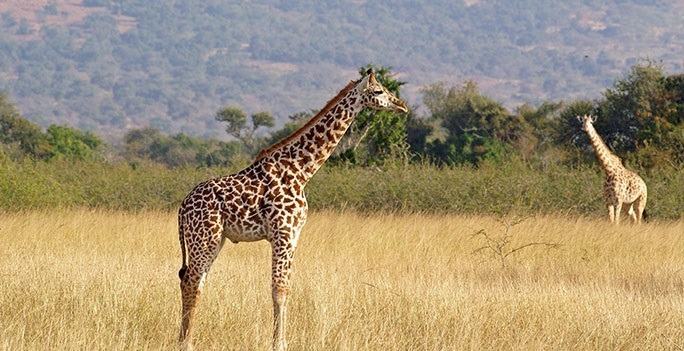 This will be reached if the government of Rwanda enhances its strategy to increase the local revenue generation among which includes Rwanda safaris. The tourism sector can only generate great returns if invested in and nourished accordingly. Considering the fact that tourism is apparently the leading exchange earner generating $304.9million approximately Rwf 223 billion since the year 2014, the potential of the sector continues to expand with greater initiatives being fixed in place by the government through its agency the Rwanda Development Board (RDB) – the body that overlooks among others gorilla safaris in Rwanda. Following the successful host of the 11th baby gorilla naming ceremony, there are a range of initiatives put in place by the tourism sector to ensure that the industry attains greater heights. Among these initiatives is the Meetings, Incentives, Conferences and Events/Exhibitions (MICE) programme. Formed and created last year as a component of the 7 year government programme to continue capitalizing on the achievements in the aspects of good governance, the economy, justice along with the social being, the MICE initiative is one of the potential Rwanda safari products that can ably supplement the Rwanda gorilla safaris. The Rwanda Convention Bureau has been put in place to the monitoring and handling of the matters regarding the MICE strategy. From the tourism report of 2014, the destination Rwanda hosted 19,085 conference visitors rising from the 2013 figure of 15,441 creating a 24% increment. From this visit, Rwanda managed to generate $29 million approximately Rwf21 billion from the MICE initiative. Though the bureau did not hit the target of $32 million, it has been inspired to work towards achieving the $207 million by the month of June 2018. The effort to bid for hosting of events and conferences is in progress and some of the anticipated projects to reap from include the Transform Africa 2015, World Economic Forum and Interpol International Conference. The Private sector contribution has been acknowledged and the government is apparently finalizing the training of event organizers and the Rwanda Association of Professional Conference Organizers (RWAPCO) along with an interim committee is already in place. It is believed that the association of about 20 companies will assist in solving the problem of ascertaining the qualified personnel for organizing events which has been a great challenge for the companies interested in hosting conferences.